Nik works as a Integrated Therapist and Life Coach at his private practice based in Bournemouth, Dorset. Nik’s background includes work as a Specialist Mental Health Services Manager for over twenty years. Nik’s approach is integrated, using a wide variety of approaches that enable individuals to identify, work towards and achieve positive change in their lives. Nik is a member of the National Council of Psychotherapists (Snr Accred) Association, the Complementary and Natural Health Care Council, The International Neuro Linguistic Programme and Coaching Association and a Fellow with the Society of Holistic Therapists and Coaches. Chris is a warm and professional qualified Life Coach and trainer with over 30 years of experience. She started her career as an English teacher after completing an Honours Degree in Education and worked in schools both in Manchester and the Middle East. Her career has then concentrated on developing adults. 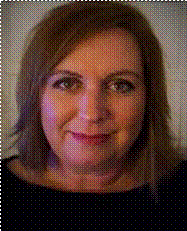 With over 30 years of experience within Education and the Corporate sector, she has worked in schools, FE colleges, the public sector, the community and UK based businesses. She set up her training and coaching business after qualifying as a Life Coach and completing a Neuro Linguistic Practitioner course in January 2005. She prides herself on encouraging clients to achieve their goals thorough a warm and practical approach. Juliet’s background has been in training, management and personal development for over 15 years. She set up her own successful life coaching business in October 2004 following completion of the Blackford Centre's Diploma in Life Coaching. Emily works as a Counsellor, Psychotherapist and Life Coach at her private practice based in Mamble, Worcestershire, where she lives with her partner, daughter and an assortment of animals. She sees many people from all walks of life with varying emotional issues that they wish to talk about and resolve. Emily holds a graduate based registration with the British Psychological Society and is a Senior Accredited member of the National Counselling Society. Emily is also undertaking further research in the field of burnout prevention amongst therapists and hopes to complete her PhD in the next 2 years.